Some SEO analysts says that fixing W3C validation errors of a website is an important On Page Optimization if so why www.google.com has 23 W3C validation errors, 4 warning(s)? Does Google consider those errors? 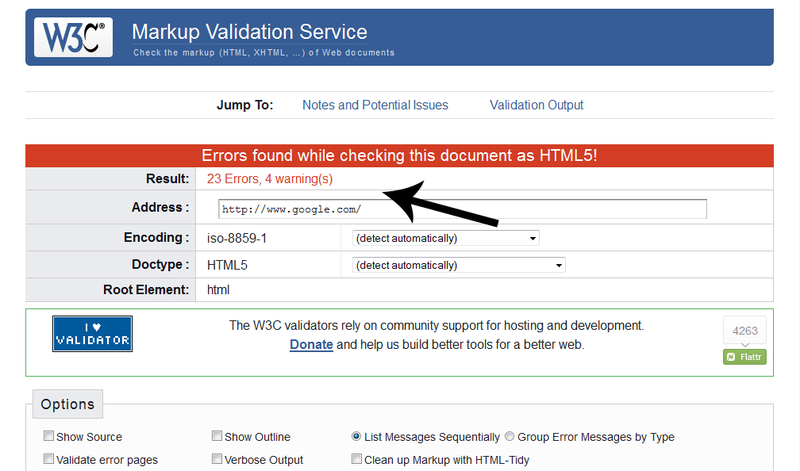 Google doesn't take into account W3C errors for SEO. There are so many big websites with a bunch of errors which have a good ranking in Google for many keywords. Having a W3C compliant website is good practice because you're sure your website respect rules of web semantic but there is no influence for SEO unless you have invalid HTML which is creating difficulties for bots to read your content (like an unclosed <title> or <h1> tag). W3C Validity is not a direct ranking factor however several errors the validator may return for your website are considered as good practices for SEO. Problems like wrongly nested or placed tags can make your content impossible to crawl. Search Engines do a very good job to find their ways through the content inside non-standard or problematique code however if you want to increase your chances; just make your code valid, it's not that hard. Also valid code takes less space and can make your website load faster. Google does not take W3C Validation into account for SEO. And while it's great to make valid code, and it can be easier to maintain if you know that all your nesting is in good shape and everything validates, we have to crawl and index and return results on the web even if pages don't validate. And so we don't give any sort of boost to pages if they validate. It may be a nice thing to do for your own internal purposes, but it doesn't get any sort of Google boosting in your rank or anything like that. And the simple reason is that the vast majority of pages on the web don't validate as it is right now. A lot of those "errors" are their use of deprecated or obsolete markup but that markup is for older browsers and mobile devices that won't work well without it. Removing the obsoleted markup knocks that number down quite a bit. While there are some flat out errors in there, if it's not intentional to help old browsers and devices along, are probably just simple mistakes. Google pages, including this "simple" home page, is quite complex and dynamically generated. Just look at the source. There's a lot of stuff going on in there and some simple, human errors may have creeped in. Not the answer you're looking for? Browse other questions tagged seo google w3c-validation or ask your own question. How can we fix the emtpy form action error reported by HTML5 validators for default ASP.NET 4 pages, and will this affect SEO? How does Google determine important links on a website to display in search results? What is a good approximation for a page's (Google) search rank to come back to it's original rank, after it has fallen due to technical errors? Google has replaced page title and not showing page content. Any idea why? Why can't our incredibly authoritative website get into Google searches for our product category?